What Is a Studio Microphone? How much should I expect to spend on a studio microphone? What makes a good studio microphone? Which Is the Best Studio Microphone for You? Every singer and producer knows that it’s not just talent that makes for a good song. You also need the right equipment to channel that angelic voice. And I bet that’s why you are looking for the best studio microphone on the market. If there is one piece of equipment every studio (home or professional) depends on most, it is the microphone. After all, without it, recording vocals would be utterly impossible. And a substandard mic, well, let’s just say it definitely won’t translate your voice into good music. Before we look for the best studio microphone to add to your equipment, let’s first of all look at what a microphone really is and how it works. A microphone, commonly called a mic (or mike), is a device that picks sound vibrations in the air and translates them into electronic signals. These electronic signals are then passed through a preamp or mixer to amplify the output sound or to scribe them onto a recording medium. Although there are many different kinds of microphones, studio microphones all fall under two categories -- condenser and dynamic microphones. 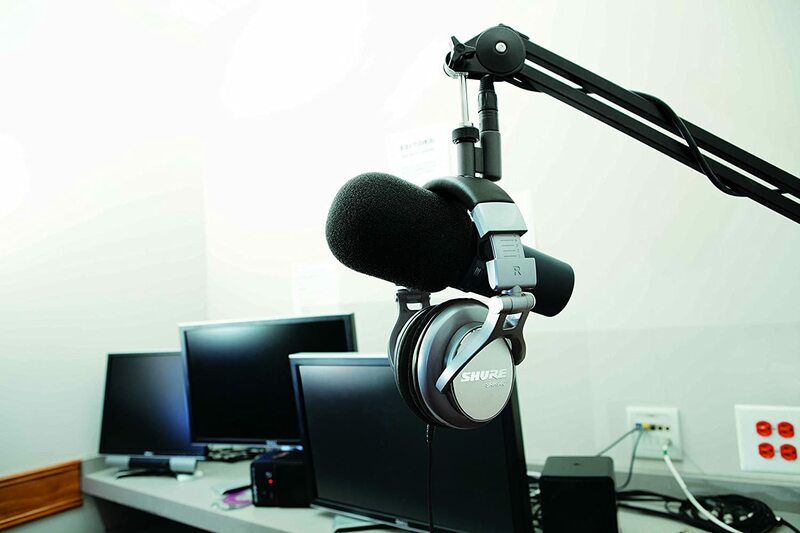 Condenser microphones are the most common type of microphone in studios. This is because of their high sensitivity to picking up sound due to the use of a smaller and lighter diaphragm. Condenser mics work best with high-frequency signals. However, condenser mics need a power source for them to function well (thus their being labeled as “active” mics). Fortunately, phantom power is enough to help them amplify the signals they receive. Although also found in studios, dynamic microphones are more common on stages due to their rugged build. They work best with low-frequency sound. Because they use a heavier diaphragm, they can eliminate the use of an external power source since they generate enough voltage through movement. Because of that, they are labeled as “passive” mics. Perhaps you’re a budding musician or home studio owner, and you have some burning questions that you need answers for concerning studio mics. Let me deal with two of those. When it comes to getting the best studio microphone, they come in all shapes, sizes, and price tags. While the most expensive can cost as much as $10,000, you’ll be glad to know you can get one for as little as $25. Obviously, the cheaper they are, the less you can trust them regarding quality and durability. That’s why you need to do your research and read articles like this one. These will help you to choose the best studio microphone within your budget. When it comes to getting yourself a good studio microphone, you will need to understand your needs, first of all. In what setting will you be using the mic? Which polar patterns are most suited to your need? You will also have to understand a whole host of other factors, such as the frequency response you will need. A bit complicated, I know. 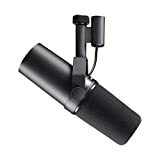 But the basic features of a good studio microphone are build quality, ease of use, and sensitivity. To give you an unbiased list of the best studio microphones currently on the market, we considered a few factors. First and foremost, we looked at customer reviews as they give a clear picture of what these mics are capable (or incapable) of doing. The other considerations that went into ensuring this review’s efficacy are the technical specifications of each microphone. This includes build quality and the sound quality they produce. Ready to hit the studio? With the best studio microphone that is? Let’s go shopping then. Here are seven of the best mics you can start your studio with or beef it up. Whether you’re looking for a budget-friendly mic, an expensive mic that comes with all the bells and whistles, or anything in between, you’ll find what you’re looking for here. If you’ve been looking for the holy grail of studio microphones, the Shure SM7B just might be it. It’s no surprise that it’s a fan favorite of many musicians and producers, including big names like the late great Michael Jackson. This mic definitely delivers when it comes to performance. The SM7B is built like a tank, but that’s not the only benefit it comes with. Its many acolytes adore it for the simple reason that it is a very versatile microphone that can handle a wide dynamic range of frequencies. From a blaring horn to an array of vocalists, from a basement studio to a large hall, this iconic mic can handle it all -- and it does it well. Add to this the fact that it’s easy to use, requiring just a few tweaks of the EQ, and you’re good to go. This 4.4 out of 5 stars rated microphone is also easy to maintain. One of the few flaws that you’ll find in the Shure SM7B is that it has a slightly lower output level than the competition. But this isn’t something that detracts from the sound quality. This is the go-to mic if you’re looking for a professional, clean, natural sound for your next project. Anyone who has been in the music industry for five minutes knows the ubiquitous brand known as Røde. 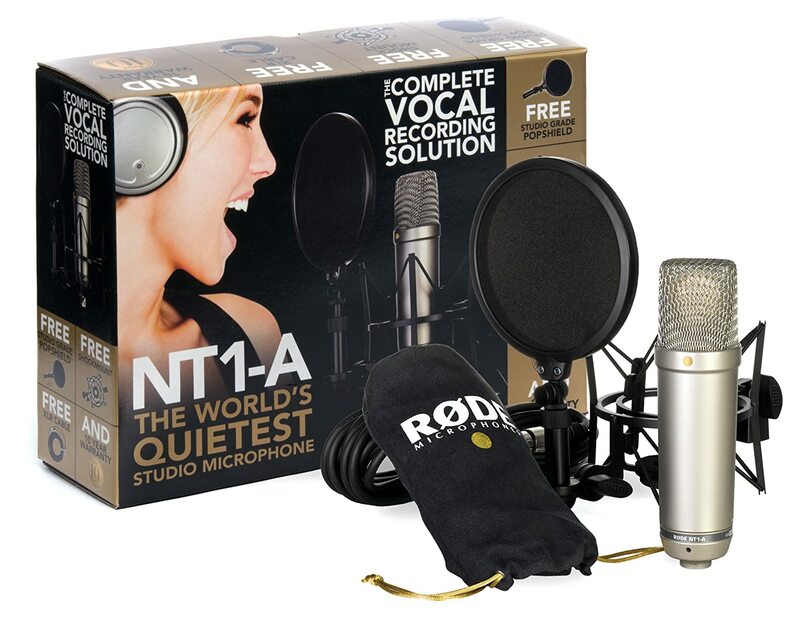 When it comes to the best studio microphone from the company, the Røde NT1A mic package immediately leaps to mind. The Røde NT1A is a very solid condenser and cardioid microphone -- both in build quality and sound production. Being an anniversary package, the NT1A comes packed with a lot of goodies. 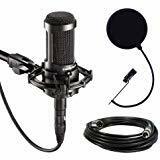 The package includes a shock mount, cover, pop filter, and an XLR cable. This is basically everything you need to start using it. This is another versatile mic that should definitely be in every studio. It does an exceptional job of capturing balanced vocals and every little detail on instruments as well. 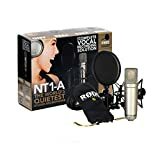 Although the Røde NT1A may come off as too bright for some, this mic is perfect for most studio needs and certainly deserves the 4.5 out of 5 stars rating it has. And, before you bring this baby home, make sure you are purchasing it from a verified Røde distributor. Failure to do so nullifies the one-year manufacturer’s warranty attached to the mic. If you are looking for the best studio microphone that won’t burn a big hole in your pocket, then hear the MXL 770 out. Don’t be fooled by the fact that this is a budget mic though. The MXL 770’s build quality is surprisingly good. Sporting an all-metal construction, it not only gives the mic a nice, heavy feel, but it adds to the durability as well. And the combination of black and gold give it a classy premium look (so no one will be able to tell you’re using a budget mic). The MXL 770 is a condenser mic that offers a wide frequency range, a feature that makes it easily cross genres successfully. Whether it’s vocals or acoustic instruments you want to record, this microphone can handle it all. And pretty well too. 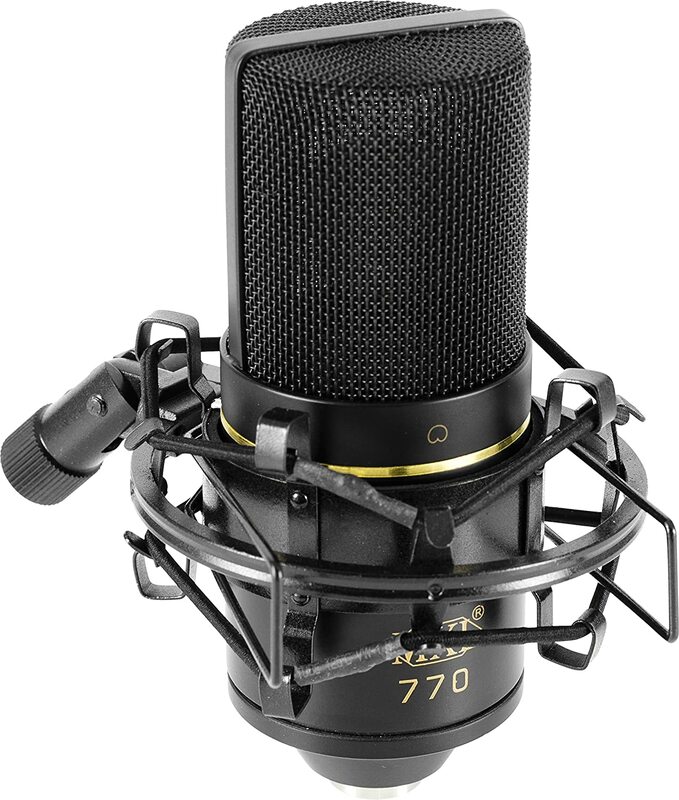 Surprisingly, especially for a mic at this price point, the MXL 770 has a rich and warm tone that just makes for a sound that is pleasing to hear. Kinda made me think of the Pied Piper’s flute -- enchanting. The one major downside to this mic is that you may sometimes have to fiddle around with the EQ to get it to perform at its optimum level when you first unbox it. Other than that, the MXL 770 is definitely a 4.6 out of 5 stars rated cardioid condenser mic that gives more than you would expect. It’s impossible to have a conversation about the best studio microphone without mentioning Audio Technica. The Audio Technica AT2035 is one such great example. Besides looking great thanks to its all-metal casing and creative design, the Audio Technica brings a whole lot more to the table. The Audio Technica AT2035 is a large diaphragm studio condenser that offers a natural smooth sound anyone would be pleased with. One of the key features that put this mic on our best studio microphone list is the fact that it offers a max SPL of 148dB, as well as a -10dB pad. In practical terms, this means it will give you great sound no matter what you throw at it, especially vocally. The cardioid pattern of the AT2035 also ensures that all audio signals from one direction get picked up clearly as well as eliminating background noise efficiently. While the Audio Technica AT2035 offers high levels of detail and great versatility when it comes to recordings, it really shines when it comes to recording vocals. It's a good choice for podcasters, YouTubers, and of course vocalists. As for accessories, the AT2035 comes with an XLR cable (10ft), a pop filter, and a microfiber cleaning cloth. The AT2035 is so popular it has managed to garner 4.6 out of 5 stars for itself on Amazon. Bringing it home won’t dent your pocket that much. Now that’s a deal worth singing about. The AKG Pro Audio C214 is an exceptional looking studio mic that features an all-metal die-cast body with a splendid shock and scratch-resistant finish. This makes the mic as comfortable on the road as it is in your studio. One of the best features you’ll appreciate about this studio mic is that it comes with features and specs that basically make it plug and play. Novices or users without much knowledge in sound engineering will love this as there’s not much fiddling to be done to get you started with your recording. 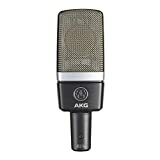 The AKG Pro Audio C214 is a large diaphragm condenser microphone that is versatile, but it really shines when it comes to capturing low sounds. Because of its 160Hz and 6dB of low-cut, it does an excellent job of capturing every detail you need, whether it’s just a vocal or any other instruments you may want to include. The only downer with the Pro Audio C214 is that there are times you may experience a slight coloration of sound. Other than that, this is a brilliant studio mic. 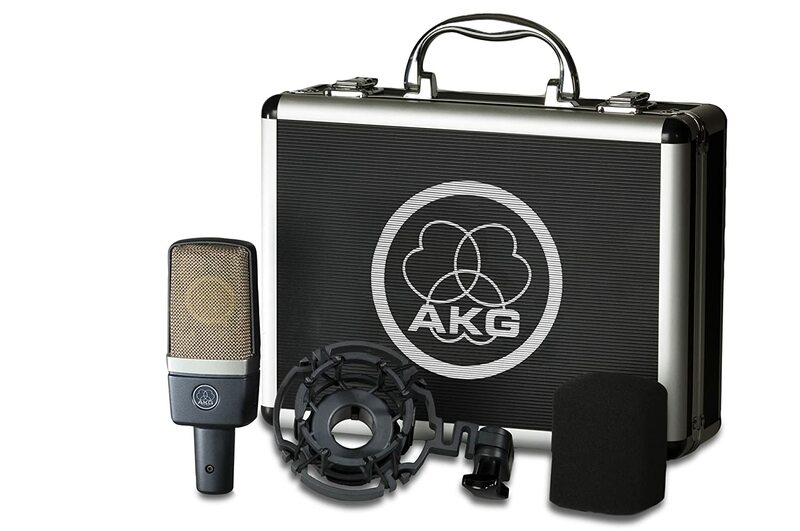 All this goodness doesn’t come cheap though, as the AKG Pro Audio C214 has a high price tag. But that’s a price worth paying for a 4.6 out of 5 stars rated professional microphone such as this one. Sennheiser is another brand that has become synonymous with audio technology. And that’s because most of their products are revolutionary. The Sennheiser MD421 II is one such product. Featuring a rugged design because it was built record drums, it will last you forever. Oh, and it does more than just record drums too. The Sennheiser MD421 II is a powerful dynamic mic that offers a very wide range when it comes to frequency. And that’s what makes it a very versatile mic. Thanks to its rich features, you can actually go from vocals to an electric guitar to drums with this microphone, making your recording sessions much easier (and less cluttered). One of the best features you will enjoy from this epic microphone is the bass roll-off switch. It comes with five different positions and presets that allow you to pretty much record any vocals, and the output, well let’s just say it’s heavenly. That is why the Sennheiser MD211 II has an impressive 4.8 out of 5 stars rating, a testament that it indeed is deserving of the best studio microphone award. Ah yes, Neumann. No list of microphones can be complete without this legendary mic being mentioned. Unless of course, it’s a list of the worst mics. And because this is a “best studio microphone list”, we have to feature a Neumann mic, because they are simply great. This time we feature the Neumann TLM 103. Neumann mics are known to be more on the pricier end of the spectrum, but it’s all for a good reason -- they are probably the best mics on the market. The Neumann TLM103 is a large diaphragm cardioid condenser microphone that handles high SPL with a maximum of 138db pretty well -- and that with low self-noise. This is a near perfect studio mic, except for its Achilles heel -- it picks up low noise too well. This means it can pick up ambient noise in your room very well, including the low hum of your computer. Overall, this is a great mic, it is a Neumann after all. 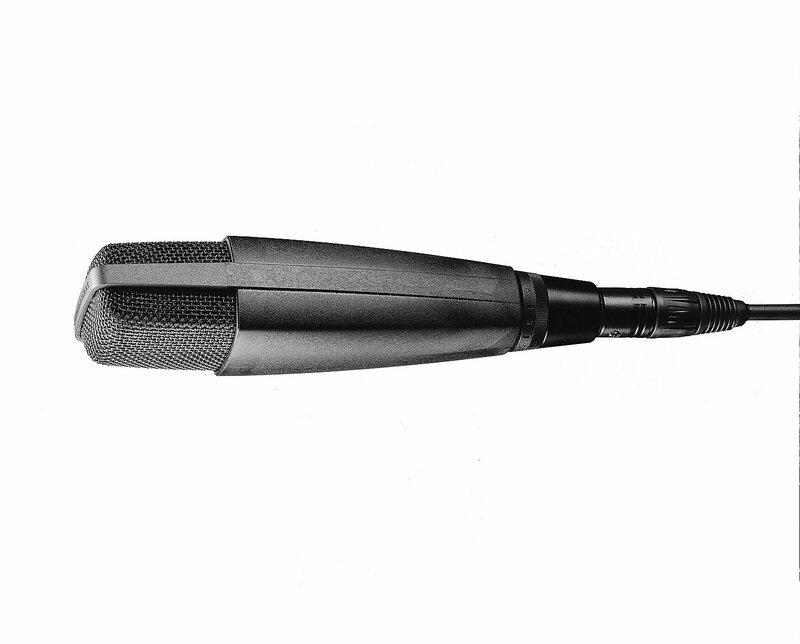 This 4.3 out of 5 stars rated studio mic will make an exceptional addition to your equipment. Plus it also comes with a shock mount and briefcase too, making it a great value for the money. Having looked at these great sounding mics, perhaps you’re wondering which one will suit your studio best. I get you, this one is a pretty tough one. But if I may make a few suggestions. 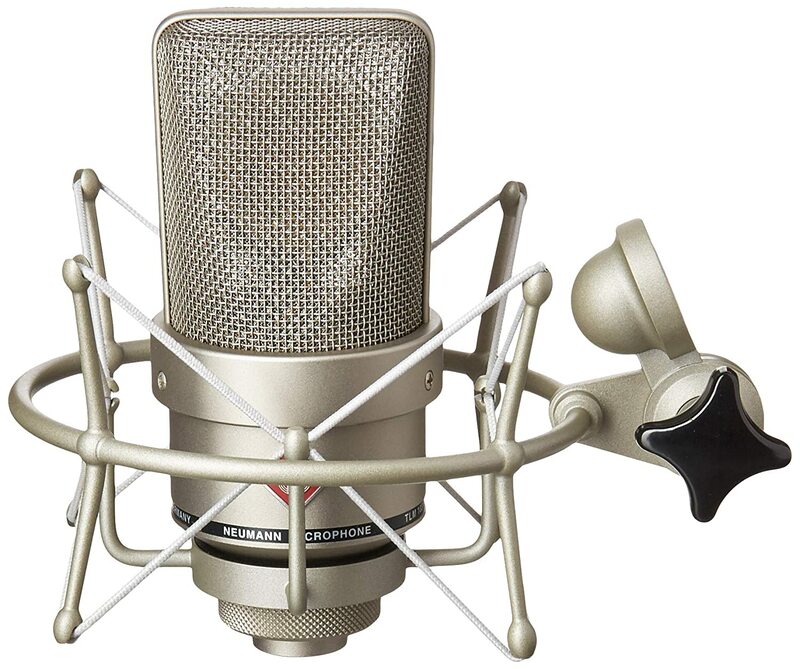 The Neumann TLM 103, if it is within your budget, is an excellent pick. However, if you’re just starting out and need to be gentle on your pocket, the Audio Technica AT2035 strikes the perfect balance between quality and price. So go ahead, pick your best studio microphone and let’s get to making some sweet music. And when you’re don,e no mic drop, please. Otherwise, we’ll have to go through this all over again.